Our builder, Restus Sanka, is again doing a fine job with his quality construction practices. 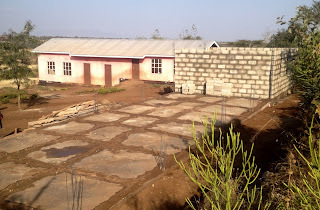 The first classroom of the 3-classroom building is underway, with the concrete floor slab finished and the concrete brick walls erected. 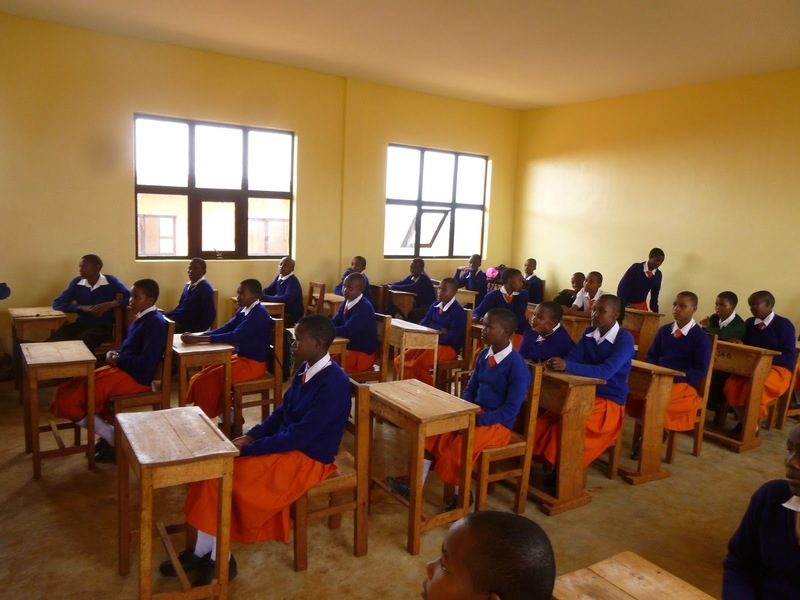 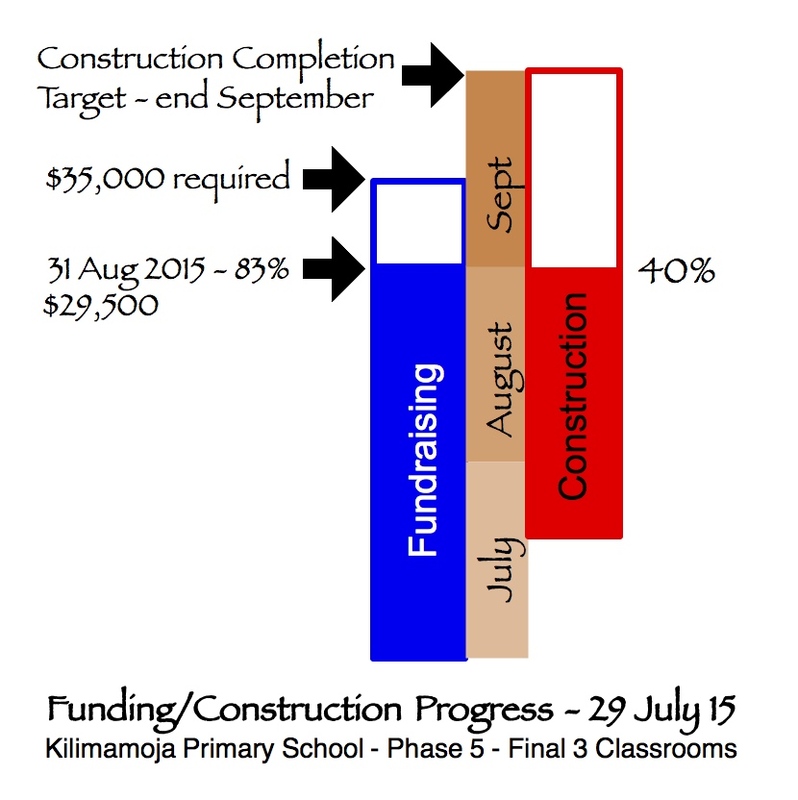 Our current focus is the funds needed to complete the 2 remaining classrooms of the 3-classroom building at Kilimamoja Village. 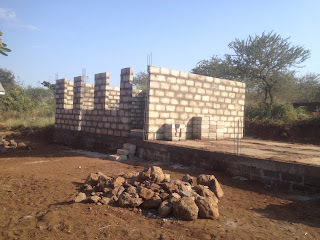 Please help us complete this building - only $5,500 left. Tony Gvora, his fiancée Beth Street, and Sang Han accompanied me on this trip. 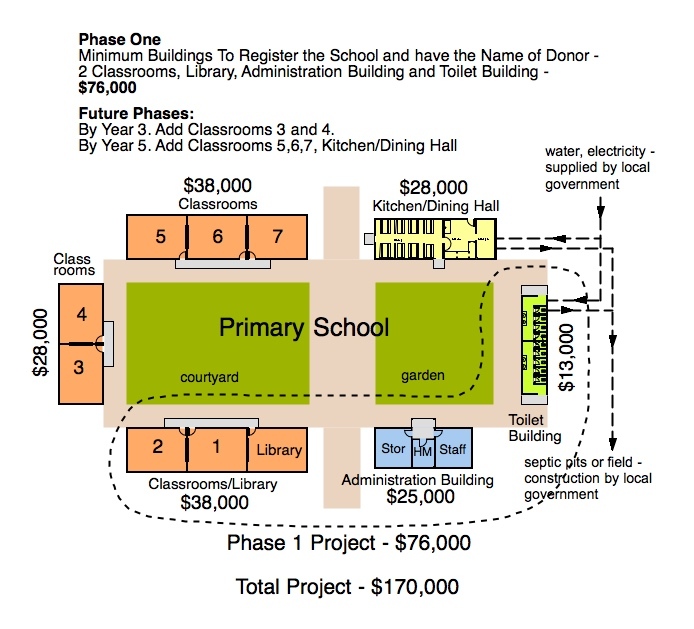 All are donors. 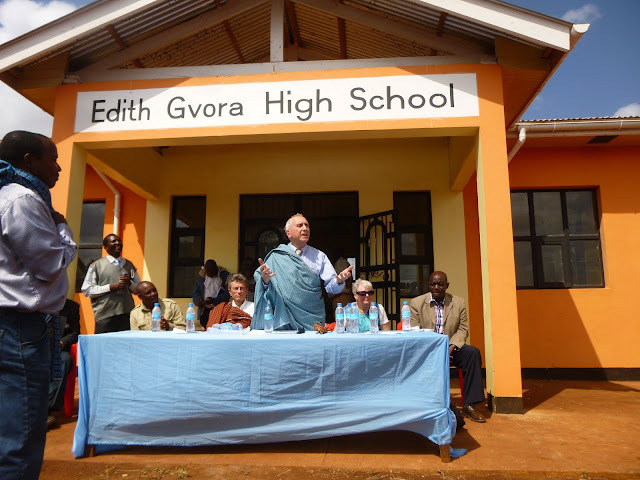 We visited the Gongali Village’s Edith Gvora High School built in December 2014 with the generous donation of Tony Gvora to memorialize his late wife Edith. A gathering of local politicians, various officials and a handful of students, colourfully dressed in their new blue and orange uniforms, celebrated Tony’s generosity with a quick tour of the buildings, speeches, and his induction into the Gongali community as an honorary elder, complete with a donated traditional robe and “walking stick”. 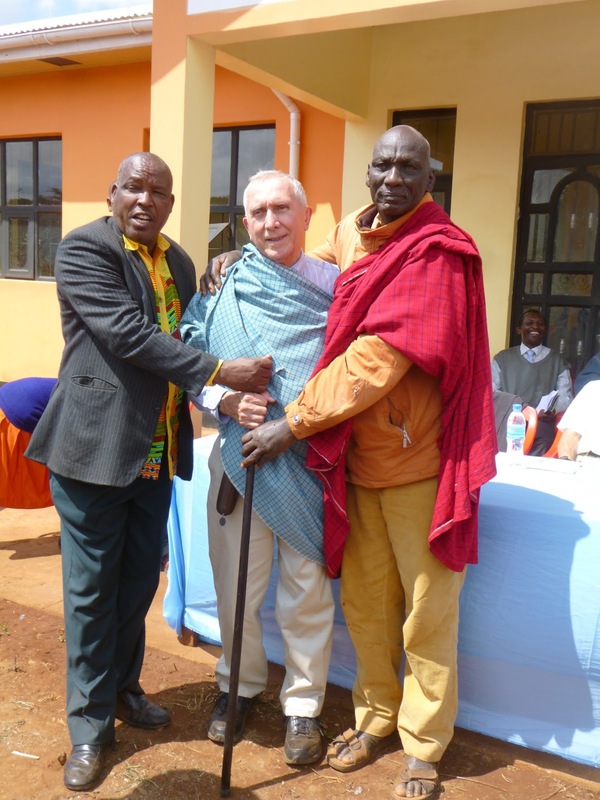 Tony responded with his own gift; playing his harmonica to the tune of the Tanzania national song to a classroom of students as they sang it. We also visited our first school project, the Gongali (Aslini) Primary School, where 6 of the 8 buildings have been built to date. 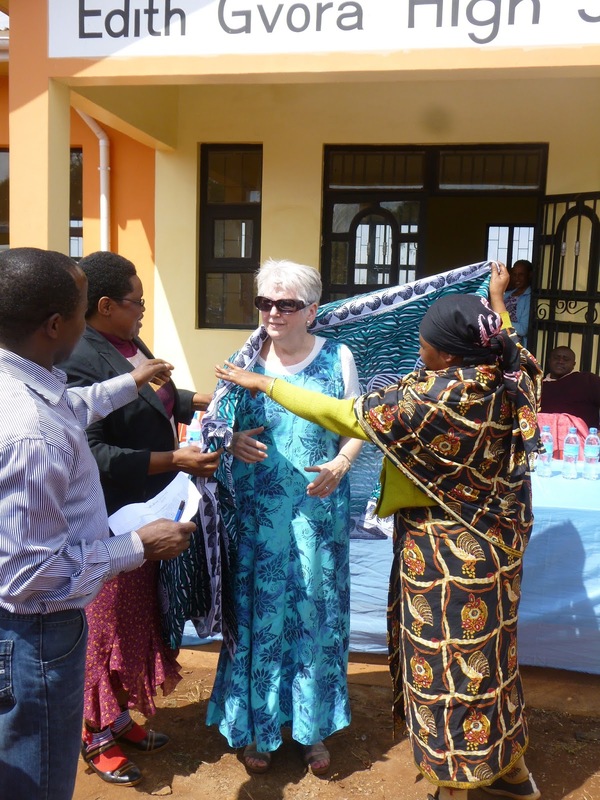 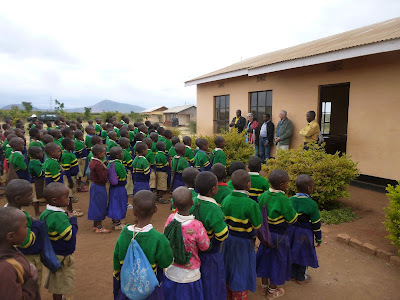 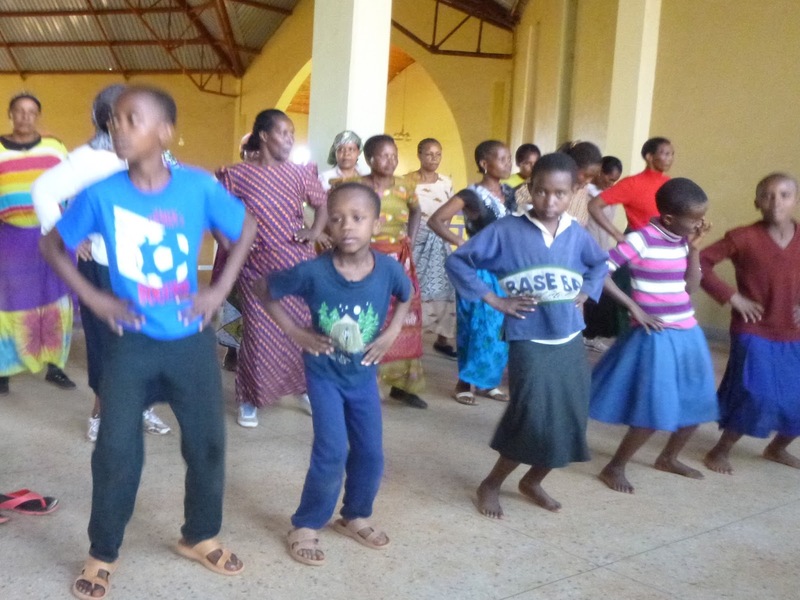 Teachers Sarah and Boniface organized a special greeting with the pupils singing a welcome, after which Tony, Beth and Sang, much to their delight, were “swarmed” with affection and curiosity by dozens of pupils eager to shake their hands. 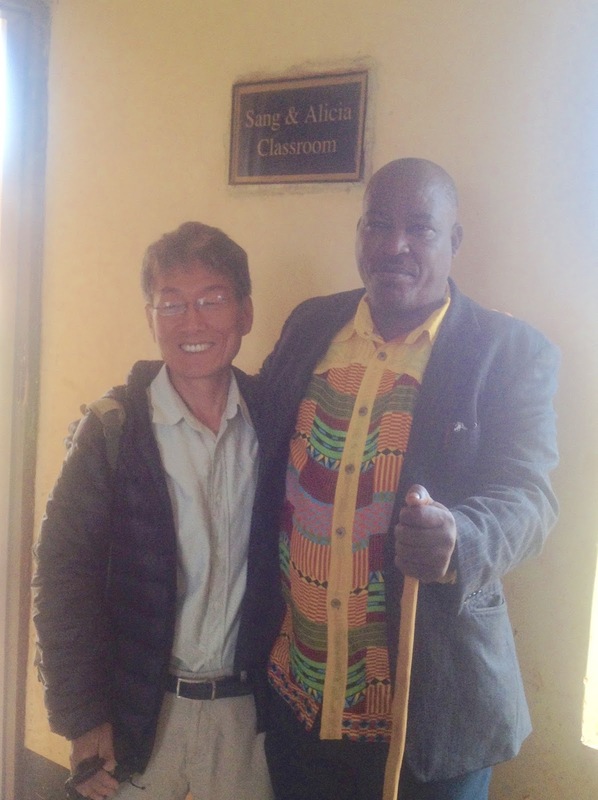 Sang Han got to visit and admire the 2 classrooms that he and Alicia Lee, our Victoria artist benefactor, funded. 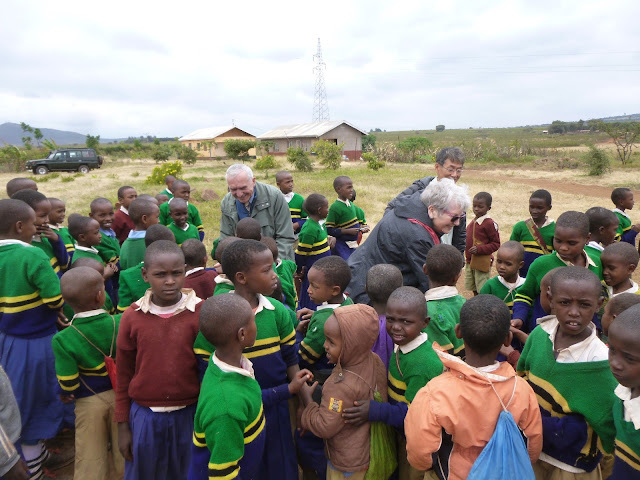 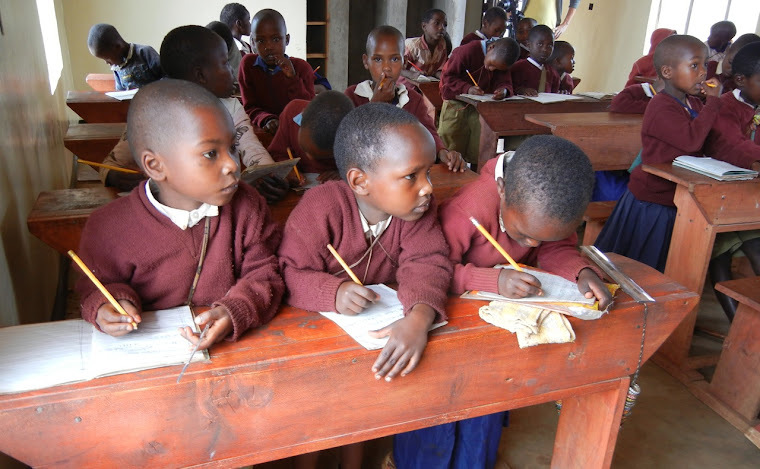 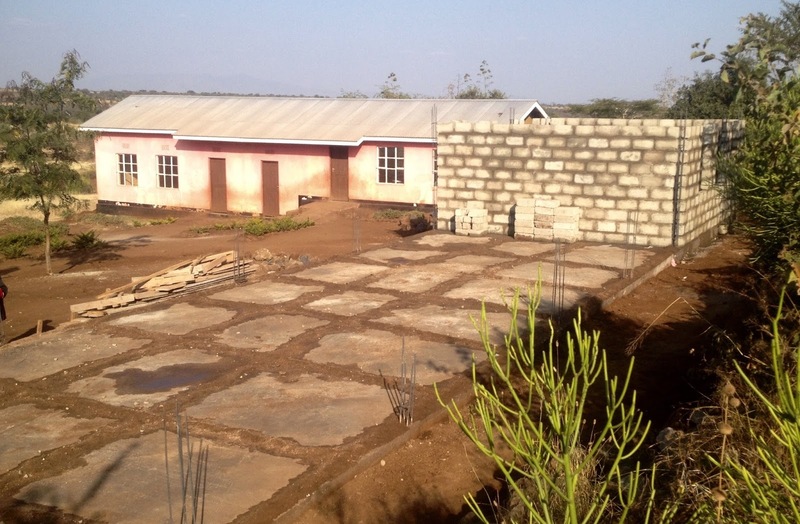 The alumni of Alan Roy’s alma mater, Royal Military College in Kingston Ontario are sponsoring the construction of a new school to be built in the village of Kilimamoja near Karatu in northern Tanzania where an urgent need exists to accommodate approximately 50 - 60 local children who at present either do not attend school or are travelling too far to go to school. 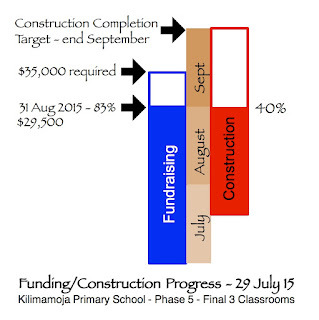 To date $21,000 has been raised for the first phase of construction. We were quite curious about the beautiful singing coming from the church next to our lodge every day, so Tony, Beth and I decided to check it out. Local choir members were rehearsing for a promotional fundraising video and allowed us to watch. 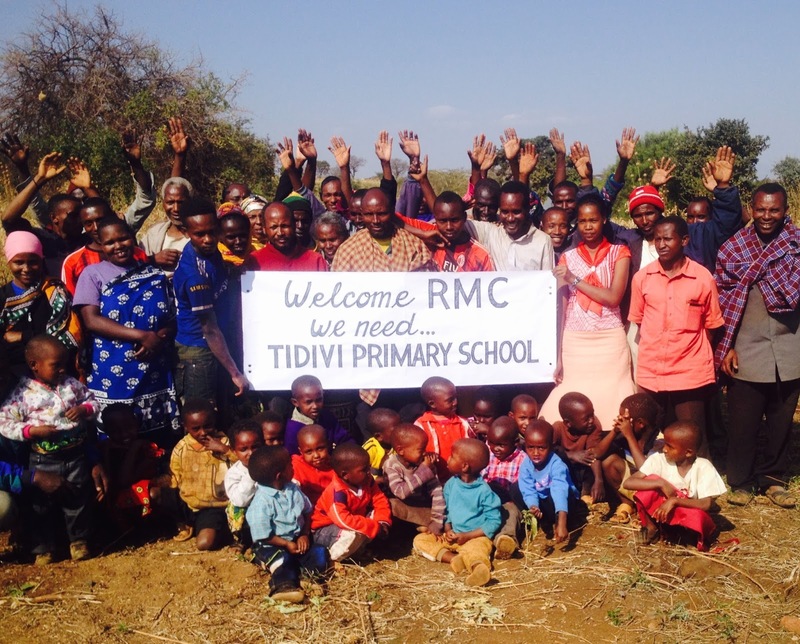 A lovely heartwarming experience.